Once upon a time, at the 2009 Consumer Electronics Show, a plucky startup gleefully intercepted a tour of visiting cable television executives, asking if they’d like to see how their technology – named Boxee – was going to kill the cable industry. On July 8, Samsung quietly bought Boxee, paying $30 million. And while we may see hints of Boxee in future iterations of Samsung Smart TVs (or maybe a streaming device? ), it’s curtains for Boxee’s Cloud DVR service. We can’t help but notice what the first Boxee Cloud DVR markets all have in common: Wal-Mart. When Boxee switched focus to a cloud DVR service, you see, it signed an exclusive brick-and-mortar deal with Wal-Mart. So last Christmas, if you were considering a Boxee TV device, you had two options: Wal-Mart, or Boxee’s website. It got worse. In the markets that carried Boxee’s DVR service, people complained. The box was buggy. It crashed all the time. People felt like they were paying to be beta testers. Adding to the frustration, Boxee’s Cloud DVR could only record from an antenna signal. DVR for unencrypted basic cable (ClearQAM) was promised, but not implemented. That meant it was possible to hook the Boxee TV up to basic cable and watch ClearQAM channels live — but DVR only worked with an antenna signal. Maybe this was a technical limitation, having to do with how Boxee uploads files to its cloud. Maybe it was a rights thing – recall that Cablevision Systems fought a vicious rights battle for its “remote storage DVR” service, which twisted all the way to the U.S. Supreme Court. It won, with two concessions. It had to store one copy of a video asset for every subscriber seeking a view — so if half a million people asked to see “Heat,” it has to store half a million copies. Not one copy that it could share amongst the 500,000 subscribers. And, they had to call it “Remote Storage DVR.” The point: Distribution rights are tantamount to success in the video marketplace. We do know that recording ClearQAM content isn’t an issue for Simple.tv, nor the upcoming device from Channel Master and Echostar, both of which use local storage for recordings. And it also ate up a lot of bandwidth, with all the constant uploading to the cloud (20 GB/day, according to one user.) Even if the service rolled out to our “Farm Lab” and other rural areas, I doubt our bandwidth would’ve supported it. If Boxee TV offered a local USB storage option in addition to cloud, maybe we’d be telling a different story today. As CE Pro pointed out, Boxee’s DVR service was probably intended to subsidize the hardware, which was about half the price of the original (and now “tele-vestigial”) Boxee Box. And so, in theory, subscribers would keep paying the monthly fee and recording more content, and hopefully they’d have enough invested to stick around if and when Boxee decided to jack up the subscription price. So much for cutting the cord! But this most definitely did not happen. First off, the OTA reception in many areas (and especially my house) isn’t great, so there’s not much content available to record. And full catalogs of most network TV shows can be found readily on streaming services for a smaller monthly fee. 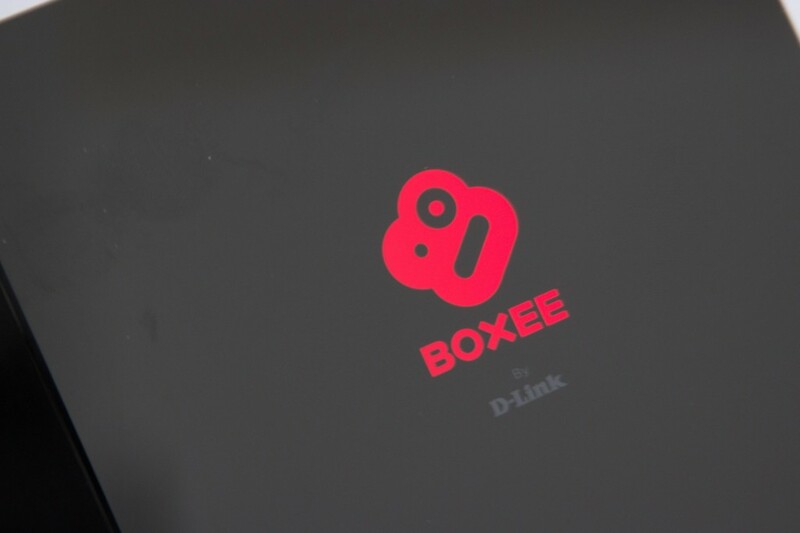 At this point we’re up to six major problems that plagued poor Boxee, the cable killer. And there’s more. Apparently, recording stuff wasn’t all that simple either. There was no way to pause live TV or start a recording using the box itself – recordings could only be scheduled by accessing Boxee’s website from a computer. Another common complaint was the heat coming off the coax, where the antenna attaches to the box – it’s hot enough that I’ve burned my fingers. It’s just never good when you have to worry about your gadgets setting the house on fire. Clearly, Boxee’s Cloud DVR was nowhere near ready for rollout to 17 more cities. That said, there probably aren’t a whole lot of people out there sobbing over the fact that all their recordings vanished when Samsung pulled the plug. Here’s a question: What happens to Boxee TV with respect to 3rd party software, especially if the technology gets bundled into Samsung’s TVs? Will we eventually see a hack like Boxee+ that might allow us to record to a hard drive, or will the Samsung treatment of Boxee TV stay so closed (or so poorly designed) that it will never support new software? As promised: More tasty tech nuggets from this year’s compilation of Technical Forum papers, selected and aggregated by the National Cable Television Association and the Society of Cable Telecom Engineers (SCTE). Starting with what it took for Cablevision Systems to build a network-based DVR service. Sure, everybody talks cloud DVR now, but Cablevision was first to market, arrows and all. 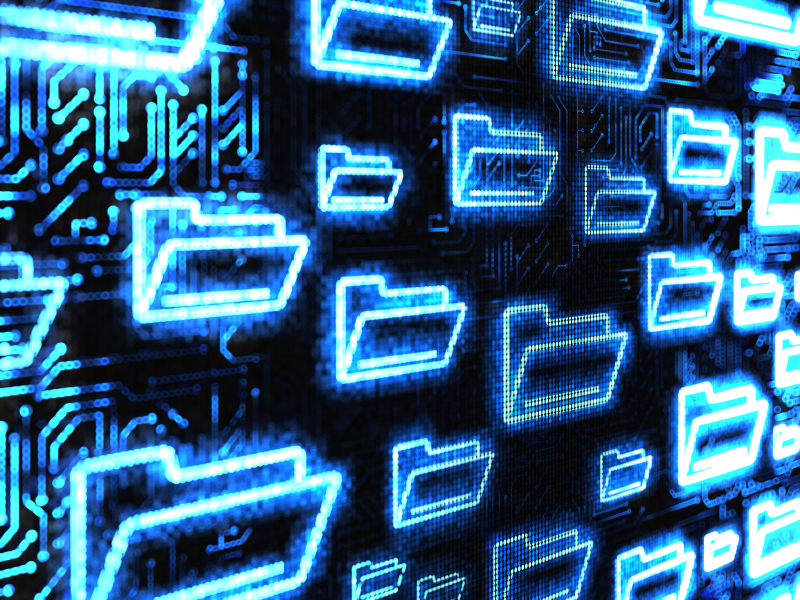 How it all came to be, and what it took, is compiled in a paper simply titled “Remote Storage DVR,” by Stephanie Mitchko, SVP of Video Infrastructure Software. A term you’ll learn: “COTS,” which stands for “Commercial Off-the-Shelf.” As in servers. Putting video “in the cloud” requires lots (and lots) of them. Surprise, surprise: People record more than they watch. If you’re into a graphical representation, Mitchko includes two charts showing daily volume of both recordings and streaming activities. Because of that, Lively continues (in a paper titled “Software Defined Networking and Cloud – Enabling Greater Flexibility for Cable Operators”), applications can be deployed and scaled without having to physically configure and deploy new hardware. I try not to miss anything written by cable modem oracle Gerry White, Chief Architect of Network Infrastructure for Arris. This year’s Gerry-paper (“Can DOCSIS Networks Leverage SDN?”) is a little jarring, because of what it means to people and plant (goodbye, headend! ), but such is life. “In this architecture, the headend in its current form can be replaced by a data center, an Ethernet distribution hub and a simple node,” White writes in his assessment of what it would take to move parts of the cable modem specification out of hardware and into a software-defined network. Comcast Labs figured out a way to predict the popularity of TV programs, by algorithmically combining DVR scheduling data (gleaned from its xfinity app), social media and historical Nielsen data. In “What’s Hot: Linear Popularity Prediction from TV and Social Usage Data,” authors Jan Neumann, Xiaodong Yu and Mohamad Ali Torkamani detail how they popped the predictive capabilities of top-10 programming by 4 percent, over Nielsen-only methods. We’ll spare you a Part 3. But as tech paper compilations go, excellent haul this year! Netflix announced last month that it is finally moving towards its goal of ditching the Silverlight plugin, with a little help from Microsoft. 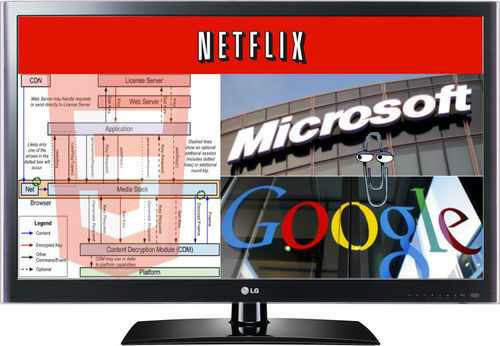 Background: Netflix currently uses Silverlight (a Microsoft product) plugin to deliver streaming video to most web browsers. Netflix announced their intent to move away from Silverlight in favor of HTML5 in a blog post back in April, after Microsoft listed only 8 more years on Silverlight’s lifecycle. And that wasn’t the only reason: Not all browsers support plugins, particularly on mobile devices. And even on supported devices, some consumers view plugins as a security risk and avoid installing them. 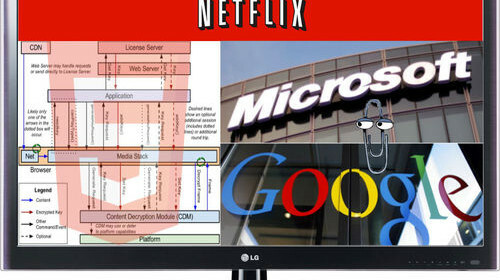 So for the past couple years, Netflix has been involved with three W3C (World Wide Web Consortium) initiatives, collectively known as the “HTML5 Premium Video Extensions.” The general goal is to develop specifications that will make it possible to play premium video directly in a web browser, without the need for consumers to download proprietary plugins such as Silverlight or Flash. The W3C initiatives involve three key areas: Playback and Adaptive Streaming, Digital Rights Management (DRM), and Encryption. One of the main hurdles for Netflix is getting these Premium Video Extensions implemented on all browsers – Firefox, Chrome, Safari, and Internet Explorer. And this is where we’re finally starting to see some progress. Back in April, with Google’s help, the Premium Video Extensions were implemented for the first time on the Samsung ARM-Based Chromebook. This isn’t a complete implementation; WebCrypto hasn’t yet been implemented in Chrome so a Netflix-developed API handles those operations for now. But once Google’s WebCrypto implementation is complete, testing can begin for Chrome on Windows and OS X. Notably, and to the “with a little help from Microsoft” in the title of this post, Internet Explorer 11 is the first to implement all three of the Premium Video Extensions. If you’re running the preview of Windows 8.1, you can now watch Netflix using HTML5. If not, or if you prefer Firefox or Safari, you’ve still got some waiting to do. But if the current uptick is any indication, maybe it won’t be long. Regardless, HTML5 is a hot topic and a big, big deal across the video ecosystem. Netflix’s moves are noteworthy, but not an isolated achievement by any stretch. If you’re into big chewy technical documents, which occasionally reveal as much in strategy as they do in tech-speak, go get the annual Spring Technical Forum papers, put out by the National Cable Television Association and the Society of Cable Telecommunications Engineers. If you’re not into big chewy technical documents, fear not. This week’s translation condenses the interesting nuggets in this year’s haul of 34 papers and presentations. Let’s start with the biggie that is Big Data. How big is Big, in cable? 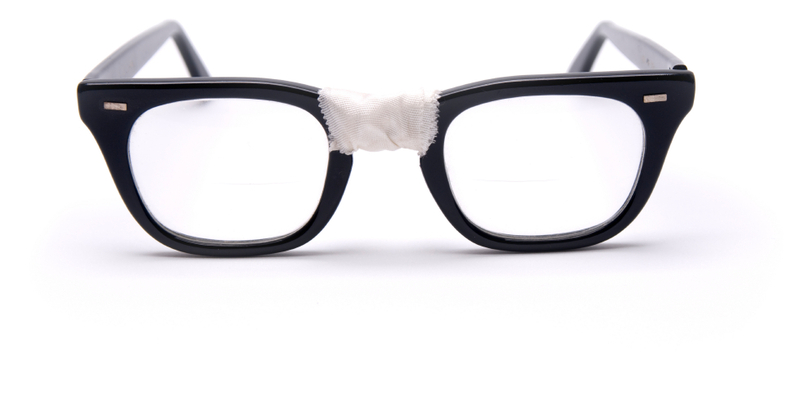 Put aside data coming from customer care, billing, and other sexier sources. Consider just the tiny sliver of cable’s data warehouse that is the digital video switch. According to Cisco’s Marthin De Beer and Kip Compton, who penned “Big Data: Capitalizing on Untapped Knowledge,” every 1 million cable subscribers generates a honkin’ 2,400 Gigabytes (GB) of data per DAY, through switches. That means that an operator with 25 million subscribers would generate 87,600 GB (which is the same as 87.6 Terabytes, abbreviated TB) of data per year, just through the switch, the authors said. To Google, which was processing 20 PB/day way back in 2008, these numbers are chump change. But it’s an early and interesting look at how big “big” is, when it comes to plant metrics. Also interesting: “Advanced Menu Usage and System Architecture: Impacts on User Behavior,” co-authored by Jim Brown, of Buckeye Cable, and Arris’ Carol Ansley (the queen of gateways) and Scott Shupe. The paper studied the behaviors of people working with newer, advanced guides, vs. users of traditional grid-based guides. They looked at channel changes as well as DVR and VOD usage, across both types of navigation. Among the general findings: 10% of subscribers order a two hour movie weekly. Only 70% of DVR recordings are actually viewed. Even though the average number of set-tops per home is 2.6, only 1.5 are active at any given time. For upstream path junkies, check out “Making Rational HFC Upstream Migration Decisions in the Midst of Chaos” (bottom line: Go to 85 MHz for the least disruption), by Dean Stoneback and Fred Slowik, both with Arris, as well as “Distributed HFC Digital Architeture Expands Bi-directional Capacity,” by Aurura Networks’ Oleh Sniekzo, Doug Combs, and Rei Brockett. And more, which is why a Part II to the papers is in the works. SAN FRANCISCO–It wouldn’t be a gorgeous summer week in San Francisco if there wasn’t a TV of Tomorrow show, and it wouldn’t be Tracy Swedlow’s show if there weren’t nine people (not including her) on the closing panel. 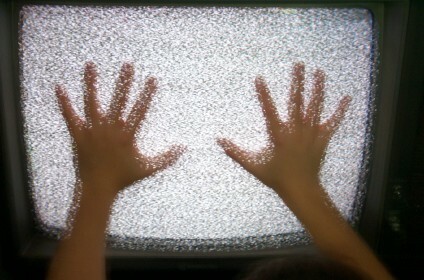 “Everything will be a television. Five years from now, Arthur (Orduna, chief innovation officer for ADT) will have a shirt that’s a TV. But still the bow tie,” said Don Dulchinos, SVP/advanced services at CableLabs. “TV will be more immersive, more intelligent, more aware, and probably, to a lot of people, a lot more spooky,” said Cory Barr, artist. “TV is going to be watching you as much as you watch it,” said Seth Haberman, CEO of Visible World. Shims, in the physical world, are wedge-like things used to fill a gap, usually so that something fits more snugly. The book of matches shoved under the wobbly table leg. The wad of cardboard to temporarily secure the window sash. The tapered shingle to shore up the doorjamb. Guess what: “Shims” happen in software, too, and for similar reasons. When you hear it (because you will), it’s likely that you’re in a conversation about bridging something existing, to something new. And because that’s happening pretty much everywhere right now, as the industry continues its steady transition to all things Internet Protocol (IP), get ready to bump into “shim” more often. Here’s an example from a recent batch of Cable Show 2013 notes. The topic, during the annual CTO panel, was how operators think through what types of things (encoding, buffering, navigation) go in the cloud, vs. the gateway. Think about it from a Consumer Jane perspective. There she is, watching TV. On her tablet (or smartphone, or connected TV, or game console – but not the TV remote), she decides to set up a series recording for the new season of Breaking Bad. In a full-on, built-out, post-shim cloud, that action would flow directly into purpose-built servers – a DVR scheduler. An availability server. A lookup table, to handle any blackout conditions. Another server determines whether Jane is authenticated to get the show, and whether any parental control settings need to be applied. But in these relatively early days of putting linear and on-demand video into the cloud, the work of it involves – you guessed it – shims. Ways to link what Jane’s initiating, from a screen not connected via a set-top box, to the DVR inside the set-top box. As software-speak goes, the “shim” is luxuriously tactile. Then there’s the language of “agile” computing, which is also permeating the cable technology scene. In general, “agile” is about doing more things in parallel, rather than waiting to proceed until everything is 100% ready. 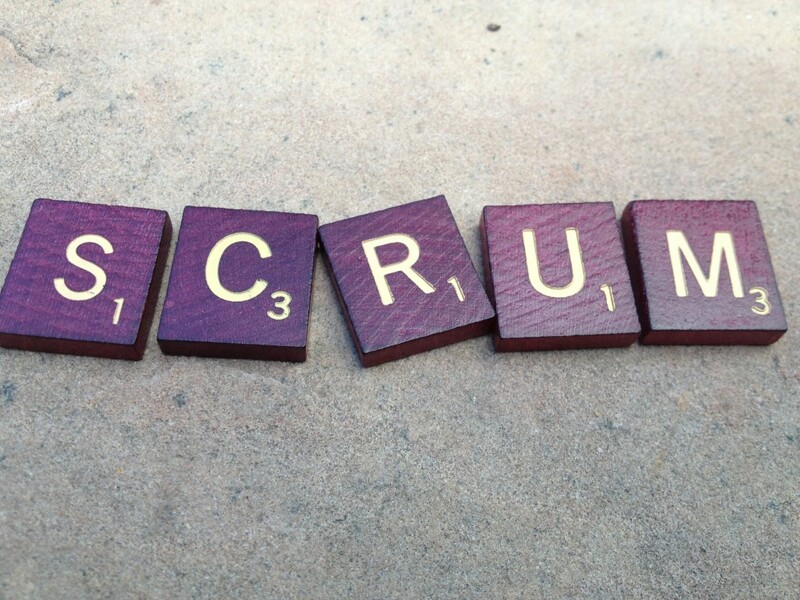 Perhaps not surprisingly, “scrum,” in software terms, doesn’t involve globs of sturdy people wrangling for the rugby ball. More, it’s about organizing people and work into short “sprints” of activity, to develop code in short, small chunks, rather than building one big monolithic blob of code that takes forever to build, test, and “drop” into the system. More reasons to appreciate the language of “agile:” Within scrums exist “pigs” and “chickens.” Pigs do the actual work; chickens can observe the pigs for informational reasons but can’t join in.